Why use University Heights, OH Property Management company? Why use a University Heights, OH Property Management professional property manager? Consider the following. You can feel secure as you use our University Heights professional services which work as a system to protect you while maximizing your return on your property investment. Landlord clients have reduced risk with our leasing and tenant guarantees as well as our easy out contract. Save money and get your house rented quickly with our professional videos, pictures and descriptions being exposed on 100s of websites and way more. Our 7 point screening process gives landlords the best possible chance of getting a great paying resident. Rely on our knowledge to most efficiently prepare your house for rent and select an ideal rental rate. Property owners can rest easy, and get an uninterrupted night’s rest, knowing our 24 x 7 take that midnight call and dispatch help as necessary. Be in the know and head off potential issues before with exhaustive property walk through video reports. We handle all bothersome collection and emotionally draining collections calls so focus on family and business. No tax worries this year when you prepare your taxes because all of the reports will be neatly delivered with your 1099. You have the option to lease, rent to own, and / or sell your home, simultaneously, if you desire. Link to Rental Permit Application http://rtsl.us/psrh. There is a fee for all inspections requested by or on the authority of the property owner, including point of sale inspections, which is set at $150 for a single-family home and $200 for a two-family home. There shall be no charge for any re-inspection requested by the same owner within one year of the issuance of the Certificate of Inspection. Whenever the Division of Building Engineering and Inspection of the City is required to make an inspection for purposes other than where plan examination is or will be required and such request is made by a profit-making commercial organization or by another governmental agency, there shall be levied for such inspection a charge of $50.00. Such inspection shall be requested in writing of the Division and the fee shall be paid by the requestor prior to the inspection. The fee for an initial inspection and for a renewal fee for periodic inspections resulting from applications for roomer permits and renewals thereof shall be $300.00 for a single-family home, $400.00 for a two-family home, and $100.00 for a rental third floor unit. A Certificate of Occupancy is required and it is completed annually. The Commissioner may require an inspection of the property to be completed. If it is found that a building or other structure is in compliance, the Commissioner will issue a certificate of occupancy. This certificate is valid for 12 months from the date of issuance. Also, the Commissioner will have the power to revoke this certificate should any false statement be made or for non compliance of the structure. If in compliance with the provisions of this Code and all other laws, ordinances, rules and regulations applicable thereto, the Commissioner shall issue a certificate of occupancy for such building or structure. The owner of the property must apply for this certificate by March 1st of that year. An application for a certificate of occupancy shall be accompanied by a nonrefundable fee of $4.50 for each dwelling unit with the minimum fee of $25.00 for each building. The fee for any one building or dormitory or institutional occupancy shall be $2.50 per sleeping room, not to exceed two hundred and fifty dollars ($250.00), with a minimum of $15.00 for each building. (a) In the event there is a change in the resident agent or nonresident agent as shown by the certificate of occupancy, the owner shall notify the Building Commissioner in writing within 30 days of such change, giving the name and address of the new resident agent or nonresident agent. Failure to notify the Commissioner within the specified time shall constitute a violation of this Housing Code. (b) In the event there is a change in ownership of record, the certificate of occupancy issued under the provisions of this Code to the former owner shall become null and void within 30 days of the recorded date of such change of ownership and a new certificate of occupancy must be obtained by the new owner. Application for such new certificate of occupancy shall be made not more than 30 days after such change of ownership has occurred. Application forms shall be obtained from the Commissioner. Such new certificate shall expire on the same date as that of the certificate which it replaced. (c) Any change in the nature or extent of the use or occupancy as specified on the certificate of occupancy shall render the certificate of occupancy null and void upon the happening of such change. No such change is permissible under this Code unless such change has been approved by the proper City authorities pursuant to this Code and unless a new certificate of occupancy incorporating such change has been issued. Any such change without the approval of the proper City authorities will subject the owner, operator or agent to the penalties provided in this Code. The new certificate shall expire on the same date as that of the certificate which it replaced. Notes: If you are starting or transferring service to five or more properties, you must fax information to RESEARCH AND RESOLUTION DEPARTMENT. The information they require is the business name, tax number (if you are not transferring a company, you will need the individual’s social security number), name of person responsible for the account, number of contact person, address to send the bill to, contact person and number in case an appointment for hook up needs to be scheduled. There is only one billing address allowed, however, a landlord can have a notification set up if the property is scheduled to have the gas disconnected or if the tenant has scheduled to have the gas turned off. A Property Management Agreement between the landlord and us is acceptable to make changes to service. Meters are read monthly and billing is done monthly unless there has been a transfer of service in the middle of a billing cycle. Questions that are asked when transferring a company’s utilities: Need address of the company, property name/company name, tax identification number (if you are transferring an individual’s utilities and not a company, you will need their social security number), credit check done on company name, what is the primary source of heat? Is the water heater gas or electric? They will allow you to enter a different mailing address for the bill to be sent to. Multiple bills may be sent out at no extra cost. If utilities are in the tenant’s name, the tenant must request this otherwise, we will nor will the landlord be able to have access to bill. Change of service cannot be faxed, person must call in themselves. We can call on a persons’ behalf only if we have verification information so it is good to get the client’s social security number. Ohio Edison sends bills every month and they attempt to take the meter reading every month. 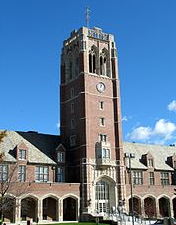 University Heights is a city in Cuyahoga County, Ohio. As of 2012, the estimated population is 13,442. The population density is 7,439.0./sq mi. The elevation is 1,027 ft. University Heights has a total land mass of 1.82 sq mi. It has two zip codes: 44118 and 44122. It has only one area code: 216.